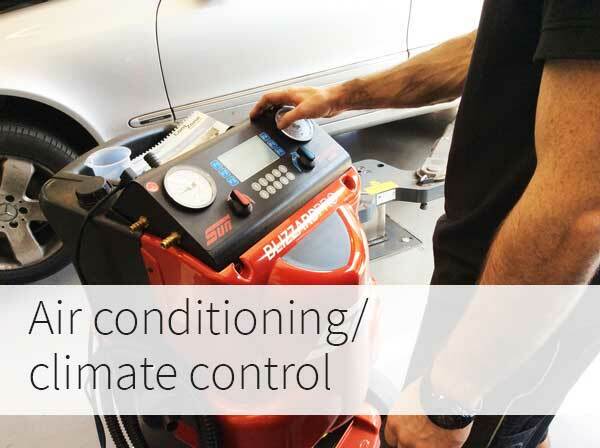 Most modern vehicles come with Air Conditioning / Climate Control as standard. A good system will lose 10-15% of its refrigerant every year, (manufacturers release new cars only 75-80% filled to reduce costs). Service intervals for AC are recommended every 3 years as ‘compressibles’ including water vapor enter the system, this reduces the efficiency and slowly corrodes the delicate valves, contaminates the receiver dryer and evaporator and destroys the clean environment that allows the system to operate up to around 15 bar pressure. (An average tyre runs around 2 bar). Our AC service uses Nitrogen (OFN) to test for system leaks after refrigerant (R134a) recovery and if there are no external leaks found the correct amount of PAG oil, leak detection dye and refrigerant is then added. High and low side pressures are checked to confirm adequate cooling of the condenser is present and the compressor is working correctly.